Learn the ‘Boeing Way’ with a Chuck’s Guide. The Boeing 757 is a mid-size, narrow-body twin-engine jet airliner that was designed and built by Boeing Commercial Airplanes. It is the manufacturer’s largest single-aislepassenger aircraft and was produced from 1981 to 2004. 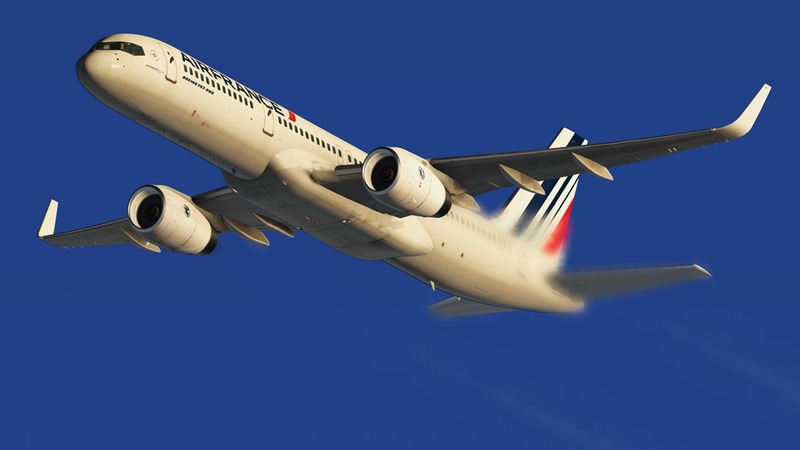 Flight Factor and StepToSky modelled the 757 to an impressive extent: different engine variants with several avionic options available from their custom EFB (Electronic Flight Bag). Flight Factor also put an emphasis on other aspects of the aircraft that are often neglected by developers such as requiring doors to be open and stairs to be installed to load/unload passengers, a center of gravity optimization function, custom checklists (normal, amplified and abnormal procedures), audio PA (Passenger Address) announcements, and much more. The 757 modelled here looks stunning and comes chock-full of functionalities to discover.